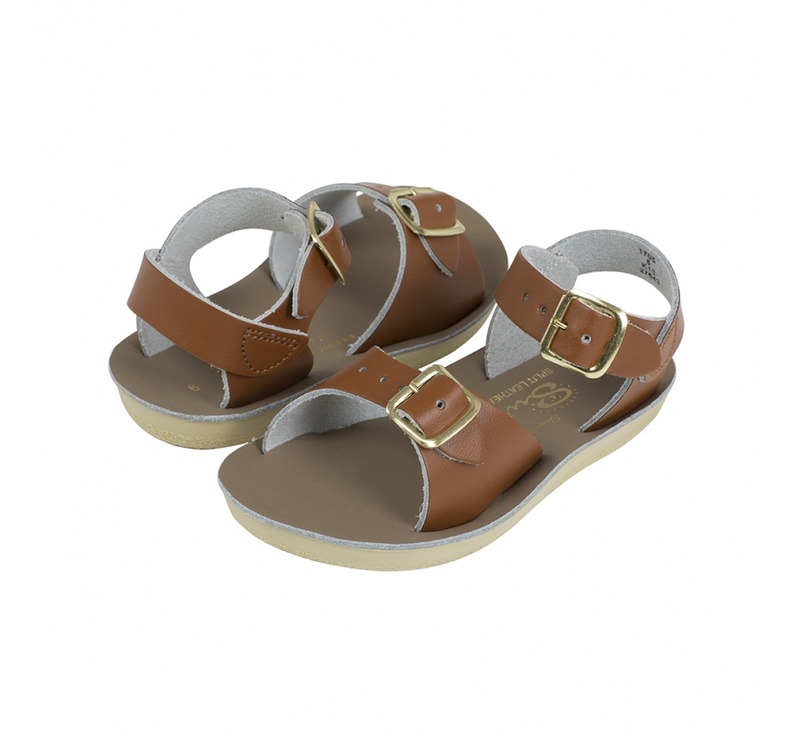 Salt-Water Sandals Surfer is your classic two strap sandal. 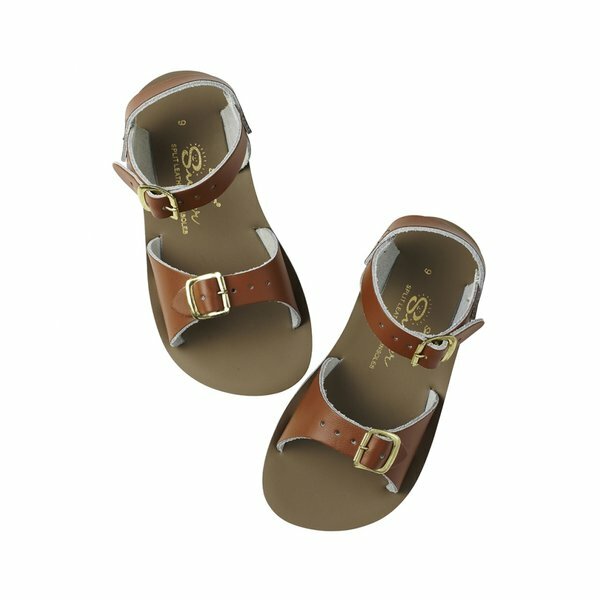 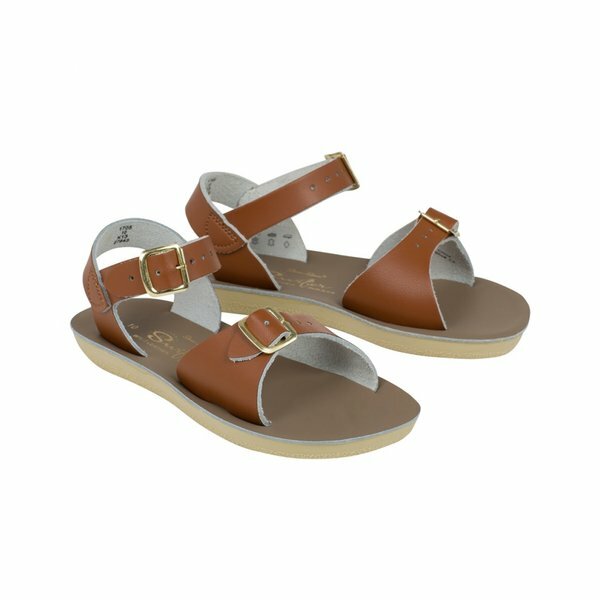 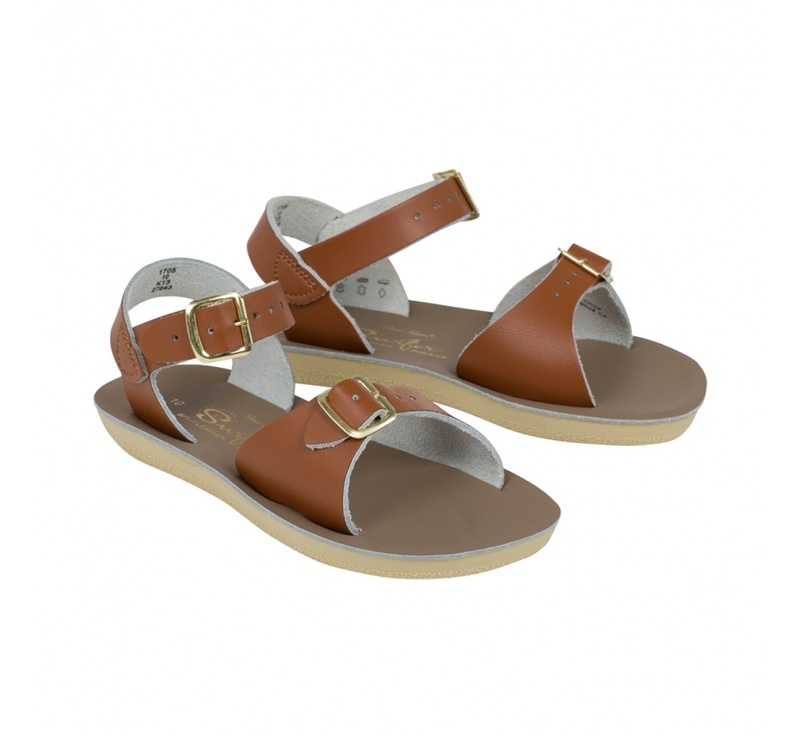 The adjustable toe buckle and ankle strap makes it the best all-rounder for both wide and narrow feet. 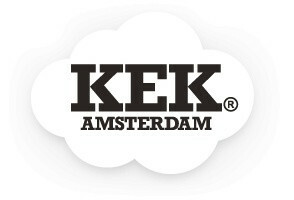 They can be worn in water and handwashed with a gentle detergent.